Fear continues to rock the U.S. stock market. 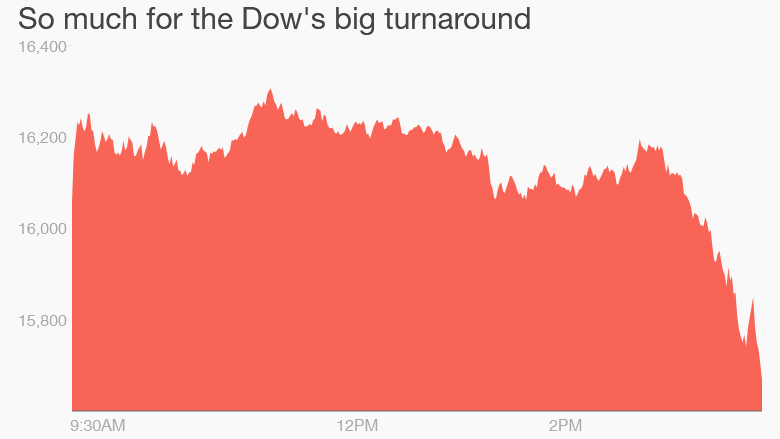 A 442-point surge for the Dow vanished at the end of the trading session Tuesday, the latest sign of how anxious markets have become about the health of the global economy. At the end of yet another wild day of trading, the Dow actually ended with a loss of 205 points as fears continued to mount over China's slowing economy and its contagion effect on the rest of the world. Just in the last six trading days, the Dow has lost a total of nearly 1,900 points, or 11%. Volatility remains elevated, signaling that more turbulence may lie ahead. Just look at CNNMoney's Fear & Greed Index, which is currently flashing "extreme fear." "There's still fear around the edges. 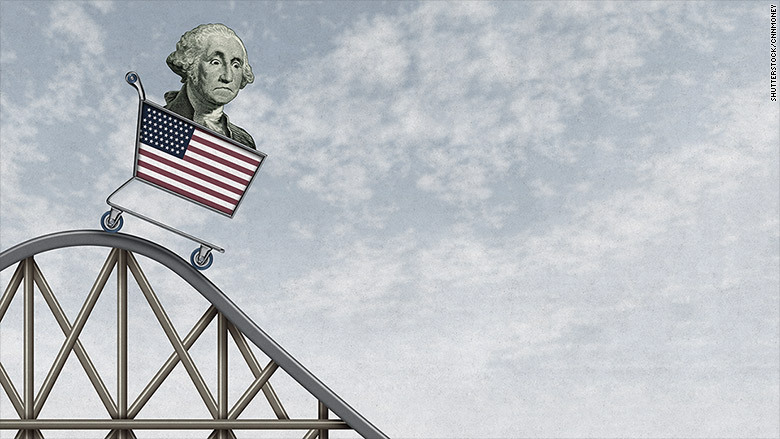 You need some signs that the market is stabilizing to reassure people it's not going to roll off the edge of a cliff and go tumbling down further," said Bruce McCain, chief investment strategist for Key Private Bank. Some sort of bounce was anticipated on Tuesday due to the enormous losses that have been inflicted on the markets even though the American economy doesn't appear to be falling off a cliff. All three major U.S. equity indexes had plunged into correction territory -- their first 10% decline from recent highs since 2011. China seemed to provide the recipe for that rebound overnight . China's central bank slashed interest rates, an emergency action aimed at calming financial markets and boosting economic growth by flooding the markets with cheap money. Investors around the world cheered China's emergency actions in hopes they will at least stabilize conditions in Asia. European stocks surged 4% higher, with Germany's DAX rallying nearly 5% just a day after falling into a bear market. The significant market moves underscore how much China matters to the global markets. China is the world's second-biggest economy and its explosive growth over the past two decades helped lift many other countries. That's especially true for emerging markets like Brazil that rely on China's huge demand for its natural resources. That's why the turbulence in China's stock market has unnerved so many investors. The Shanghai Composite plunged another 7.6% on Tuesday in a selloff that occurred prior to the interest rate cut. The bubble in Chinese stocks has burst, leaving the Shanghai index down a whopping 42% since June 12. Many market veterans believe the damage done by the selloff in the U.S. was overdone considering the American economy doesn't appear to be tanking at this point. Unlike the market turmoil in 2008, the economy isn't on track for a recession. Not only does the jobs market look healthy, but the housing industry continues to recover and cheap oil is creating a huge windfall for consumers at the pump. "I still think this pullback is a buying opportunity. I still have confidence in the U.S. economy," said Scott Wren, senior global equity strategist at Wells Fargo Investment Institute. 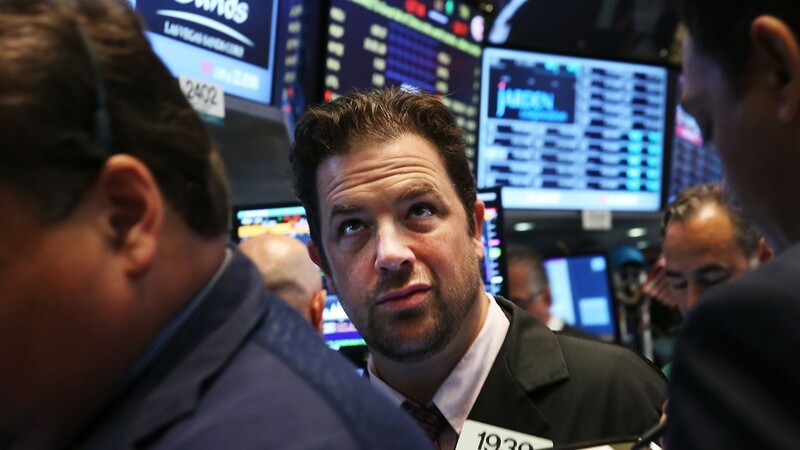 Even before the late-day slide, market experts were warning that Tuesday's early rebound didn't mean everything is back to normal in the global financial markets just because China cut interest rates. Watch for more dramatic market moves as new clues emerge about whether the financial turmoil causes the Federal Reserve to delay its plans to raise interest rates in September until later in the year or even 2016.